This pages gives a brief overview of the existing example knowledge bases. 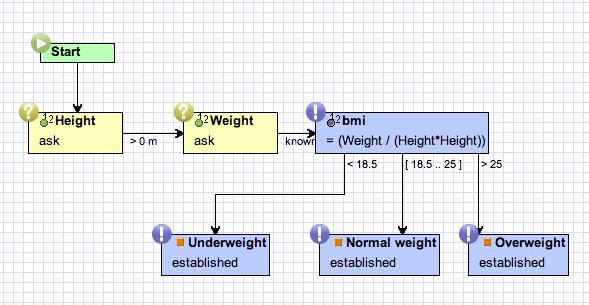 This very simple example of a knowledge base derives the body-mass-index (BMI) of a person based on weight and height. The knowledge base consists of a single article defining a two questions and an easy to understand flow chart. 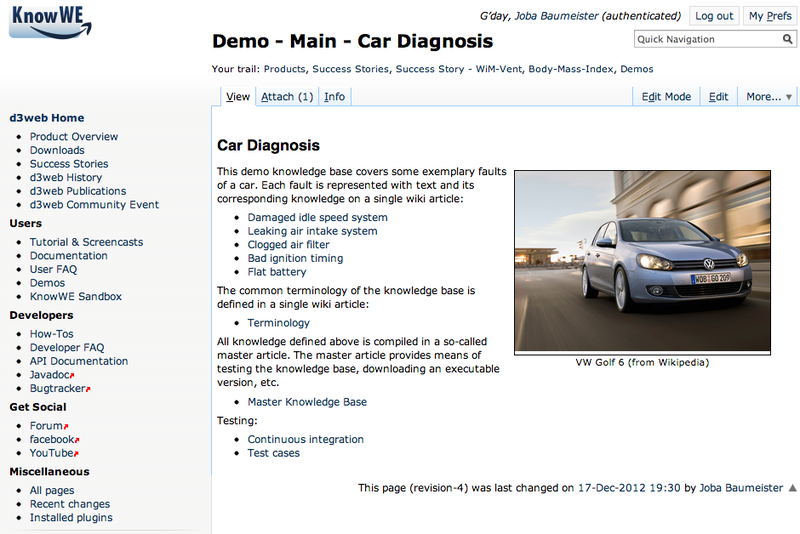 This demo knowledge base covers some exemplary faults of a car. Each fault is represented with text and its corresponding knowledge on a single wiki article. No flow chart based knowledge representation is used within this knowledge base. 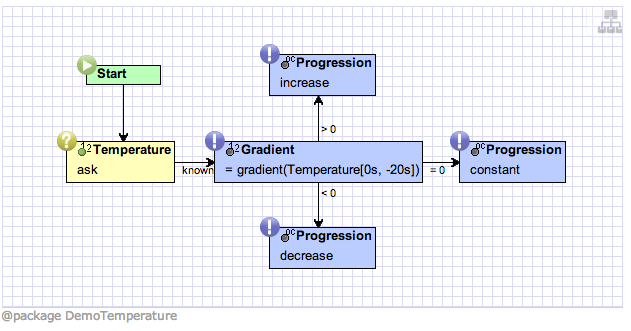 This is a simple knowledge base to demonstrate the gradient of a time-valued temperature value. For incoming values of Temperature the gradient over time is calculated. This simple example derives solutions according to a given temperature. 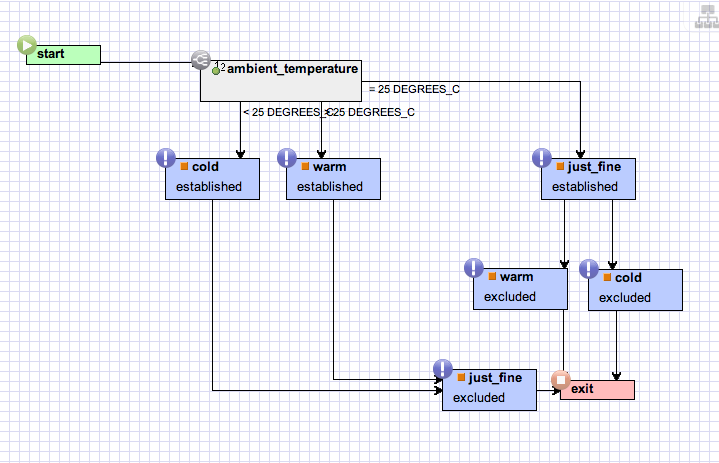 It explains the graphical workflow authoring plugin for KnowWE called DiaFlux. 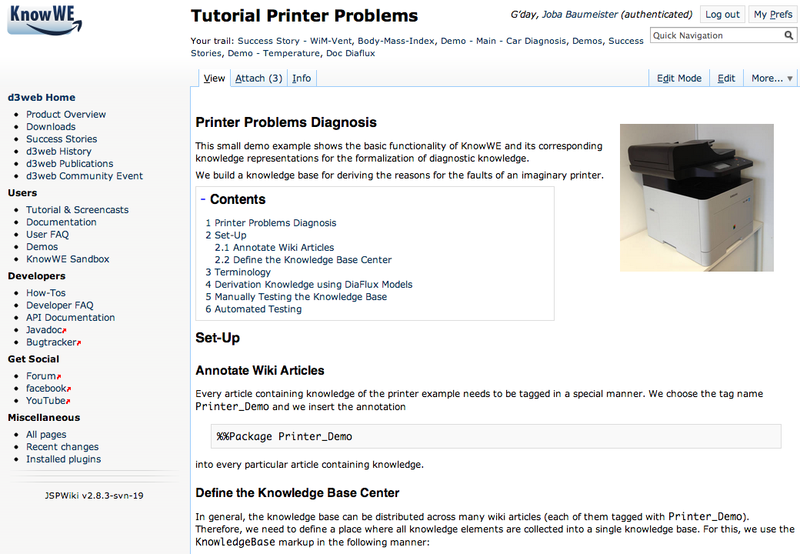 This - very well documented - tutorial derives reasons for printer problems with an example knowledge base. The tutorial demonstrates the functionality of KnowWE: stating with the set up of a new knowledge base, formalization of knowledge and finally testing of the knowledge base. This is a demo for the development of ontologies using KnowWE. 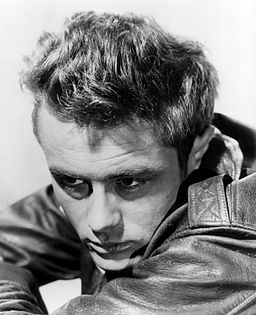 We use the example of an ontology textbook describing James Dean and his movies. 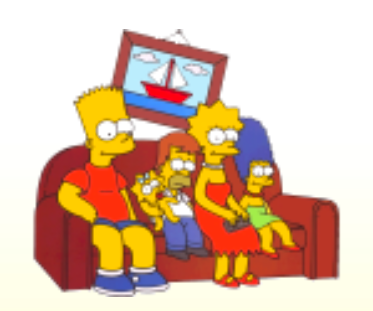 A small demo containing some characters of the Simpsons comic television seriens. This is a demo for the development of ontologies using KnowWE. 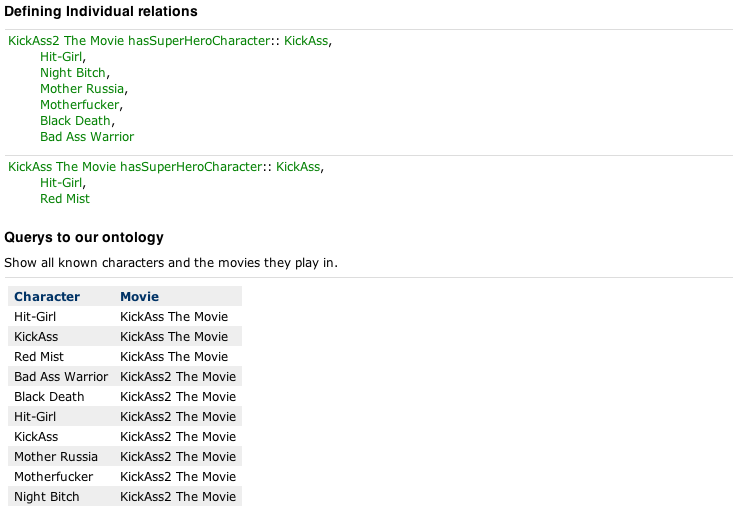 We create a simple ontology for movies and their characters and add the movies "KickAss" and "KickAss2" as examples. 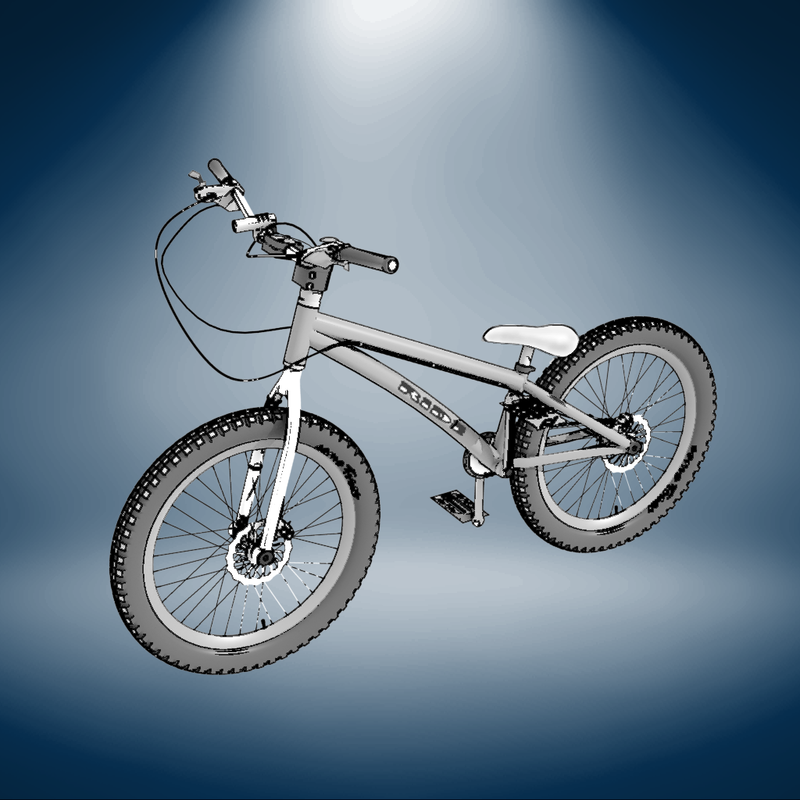 This is a demo knowledge base that covers some exemplary faults of a bike. Note: We are happy to receive your own demos!